The printed electronics industry is new and growing rapidly. Flexible circuits, wearables, 3D printers, and other cutting-edge electronic devices are demanding new technology, just as consumers expect more usability and features with each new electronic device that hits the market. Innovation is happening daily, as designers and engineers are finding ways to break previous barriers of electronics and circuitry in order to create the future of electronics today. This means that new software tools are in high demand for electronic engineers and designers who are working with new hardware. We at Pannam understand that demand, and we have searched for the top printed electronics design tools available to make the work a little easier. Some of the tools made our list because they are on the bleeding edge of the printed electronics design field. We chose other tools because of their proven reliability in covering the basics and fundamentals of printed electronics design. No matter your involvement in the innovation happening in the world of printed electronics design, you are sure to find a few tools in our top 50 printed electronics design tools that can help you get your job done. Please note, we have listed our top printed electronic design tools here in no particular order. Designed by Autodesk, Spark is the first open 3D printing software platform. “Push the boundaries of additive manufacturing” with this set of open source APIs and free cloud services. Spark is an exciting innovation in printed electronics tools. 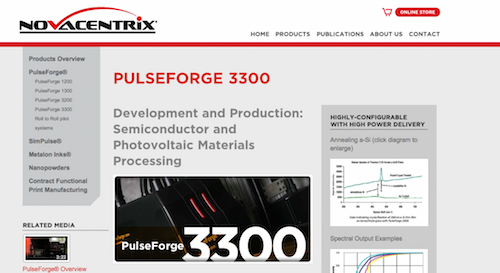 For semiconductor and photovoltaic materials processing, NovaCentrix’s PulseForge 3300 is designed for printed electronics. Process printed Si inks, both for printed logic and photovoltaic applications, on low-temperature substrates with PulseForge 3300. Autodesk is actively developing Project Wire, a new design tool for electronics and 3D printing enthusiasts that has the ability to place components, route 3D wires, and output multi-material print data for fabrication. Project Wire puts the industry “one step closer to 3D printing electronic devices in their entirety,” in partnership with Volex8. The Technology & Design Kit for Printed Electronics (TDK4PE) is a project that aims “to set a fundamental change in the way printed electronics (PE) are designed and manufactured in Europe, with the aim of reducing costs and time-to-market by more than an order of magnitude for complex designs than ever before by addressing thousands of transistors on a substrate.” The project is a collaborative effort involving key European players in the fields of materials, inks, printing technologies, manufacturing, modeling, component and system design, microelectronics, EDA tools, and applications. 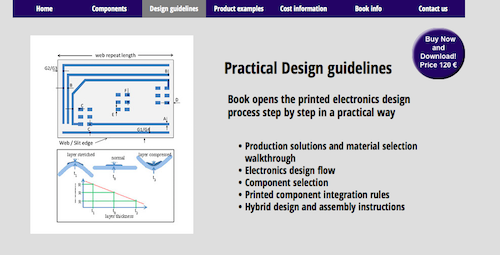 A source of information about printed components’ technology readiness levels, technology research, and product development solutions Printed Electronics & Diagnostic Products: PrintoCent Designer’s Handbook is a practical printed electronic design tool. Better suited to novices and hobbyists, the handbook is a comprehensive resource covering components, design guidelines, products examples, and more. 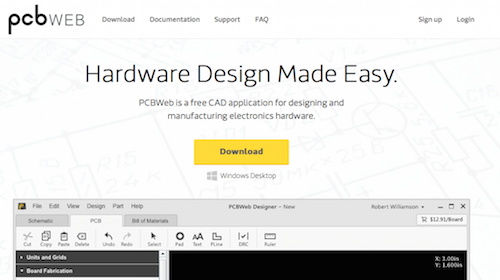 A full-featured electronics design tool, PCBWeb Designer supports both schematics and PCB layout. Electronic engineers and designers may design and manufacture electronics hardware quickly and easily with this free CAD application. 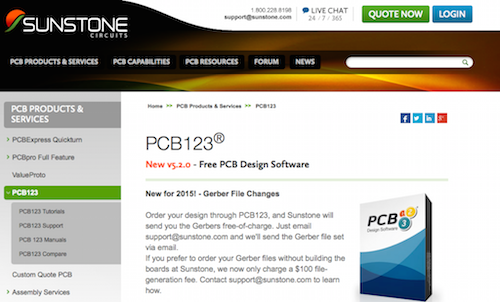 PCB123 is free PCB design software that aims to make the transition from design to manufacturing a smooth one. Electronics engineers and designers appreciate the timesaving processes build in to PCB123. Neotech Advanced Manufacturing Technologies for 3D Printed Electronics bases its 3D printed electronics technology on a combination of three key modules: Motion 3D Tool-path Generation Software, 5 axis CNC Motion Platform, and Aerosol Jet Print Engine. Electronics engineers and designers gain an advantage with printed electronics design tools from Neotech AMT. FreePCB is a free, open source PCB editor for Microsoft Windows. FreePCB is an electronics design tool that is simple enough for users to learn and use it easily, yet it is capable of professional-quality work. SOLIDWORKS is a design software platform that covers all aspects of the development process with solutions for 3D design, simulation, electrical design, product data management, technical communication, and 3D conceptual design. SOLIDWORKS Electrical combines electrical schematic functionality with 3D modeling. Specifically, the “SOLIDWORKS Electrical packages provide a range of electrical system design functionality to meet the needs of design professionals.” SOLIDWORKS Electrical packages include SOLIDWORKS Electrical Schematic Standard, SOLIDWORKS Electrical 3D, SOLIDWORKS Electrical Professional, and CircuitWorks. 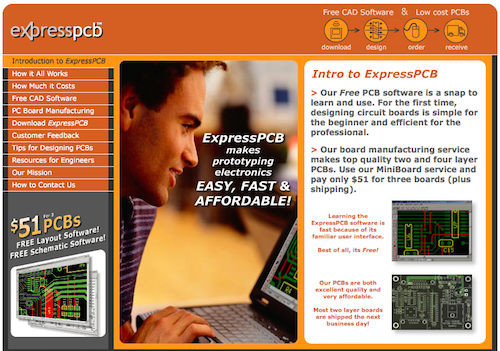 Quickly and easily design circuit boards with ExpressPCB, free software that is suitable both for beginners and professionals. 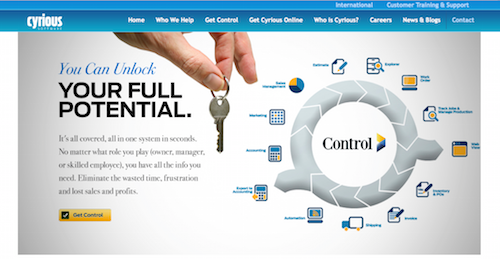 ExpressPCB’s user interface helps electronics engineers and designers maximize their time. EAGLE PCB Design Software is an electronics design tool with three modules and a common interface. Electronics engineers choose from EAGLE’s variety of product combinations to get the exact configuration that meets their individual requirements. Mentor Graphics is a leader in electronics design automation, and PADS is their top solution for desktop PCB design. Get superior schematic design, full library management, and extensive PCB layout with PADS. Advanced Circuits is a top source for prototype and production printed circuit boards. 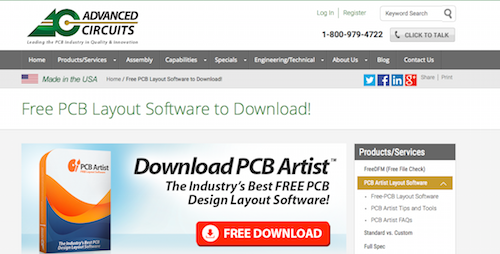 They offer PCB Artist as their free PCB design layout software. With free live technical support, PCB Artist is one of the best PCB design software choices available today. Cadence, a leading global electronics design automation company, enables electronic design innovation. That’s why electronics designers rely on Cadence’s OrCAD personal productivity tools for a complete set of technologies that result in productivity with seamless tool integration. Electronics designers choose from OrCAD Capture, OrCAD Capture CIS, PSpice A/D, Spice Advanced Analysis, OrCAD PCB, and SPECCTRA for OrCAD. ZenitPCB helps users create printed circuit boards in a “speedy and intuitive way.” Providing free PCB layout for your electronic projects, ZenitPCB boosts your efficiency and productivity. With 123D Circuits, users “design, compile, and simulate your electronic project online – for free.” With essential getting started information, tutorials, and a blog, 123D Circuits is a great electronics design tool for beginners who want to learn electronics or for people who want to sharpen their skills. Fritzing is the free software tool that supports designers, artists, and hobbyists who work creatively with interactive electronics. Fritzing follows the spirit of processing and Arduino and fosters a creative community that allows users to document their prototypes, share with others, teach electronics, and layout and manufacture professional jobs. 0-50 sq. cm. – Est. $0.96/sq. cm. 50-100 sq. cm. – Est. $0.83/sq. cm. 100-200 sq. cm. – Est. $0.69/sq. cm. 200-500 sq. cm. – Est. $0.55/sq. cm. >500 sq. cm. – Est. $0.48/sq. cm. An EDA software suite for creating professional schematics and printed circuit boards up to 32 copper layers with additional technical layers, KiCad runs on Windows, Linux, and Apple OS X. KiCad also includes a rich set of libraries with 3D models, making it a good choice for printed electronics design. FlexEnable is a transistor technology platform that “unlocks the true potential of truly flexible electronics in displays, sensors, and smart systems,” from wearables to the Internet of Things. A printed electronics design tool, FlexEnable is a uniquely enabling technology for electronics designers and engineers. A schematic capture program of Windows Vista, 7, and 8, BSch3V has basic functions to simplify operation. The package contains several features that are useful tools for electronics designers. Electronics engineers and designers can share data between electrical CAD and mechanical CAD using CircuitWorks, a tool in SOLIDWORKS 3D CAD software. Quickly resolve electrical-mechanical integration problems with CircuitWorks by sharing, comparing, updating, and tracking electrical design data. 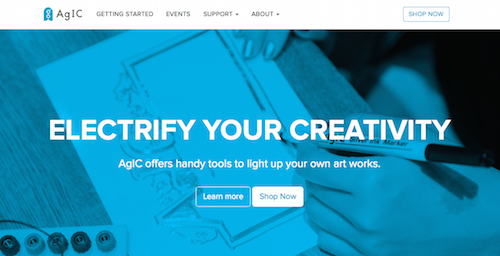 DesignSpark delivers online resources and design support for engineers. DesignSpark PCB is a highly accessible electronics design software that is specifically designed to allow you to turn your circuit ideas into testable boards faster. Explore design options and increase innovation with DesignSpark PCB. 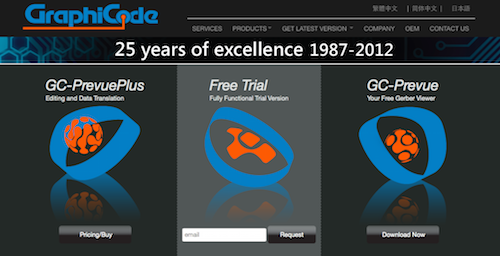 The gEDA project works on a full suite and toolkit of electronic design automation tools. The tools are for electrical circuit design, schematic capture, simulation, prototyping, and production and are useful for printed electronics design. A team of three engineers striving to build the next generation of 3D printers is behind Rabbit Proto. 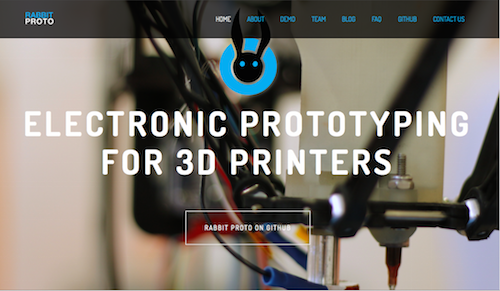 Rabbit Proto is an open source project enabling electronic prototyping for 3D printers and is a printed electronics design tool all electronics engineers and designers should be watching. Anyone who is serious about printed electronics design knows that saying on top of the budget with accurate estimations is a key component of the process. Curious Software is designed for membrane, RFID, and printed electronics to remove pricing and production bottlenecks. A program for drawing electrical circuit diagrams, TinyCAD is a great printed electronic design tool for schematic drawings. Electronics designers and engineers often use TinyCAD to draw one-line diagrams, block diagrams, and presentation drawings. 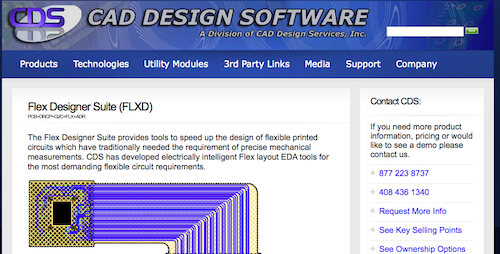 From CAD Design Services, Inc., Flex Designer Suite (FLXD) provides tools that help electronics designers and engineers speed up the design of flexible printed circuits. Even those flexible printed circuits that have traditionally required precise mechanical measurements are completed more quickly with Flex Designer Suite. Altium Limited provides PC-based electronics design software for engineers. Altium Designer is a printed electronic design tool that helps electronics engineers and designers complete complex PCB designs right the first time. EDN Network offers a variety of tools, spreadsheets, and more for engineers. The electronic design tools available on the website are professional solutions that cover a range of applications for electronics engineers. The Quite Universal Circuit Simulator (Qucs) is an integrated circuit simulator that enables users to set up a circuit with a graphical user interface (GUI) and simulate large-signal, small-signal, and noise behavior of the circuit. Electronics engineers and designers use Qucs to view the simulation results on a presentation page or window. Qucs sports all sorts of circuit simulation types, making it a useful printed electronics design tool. XCircuit is a UNIX/X11 program for drawing publishable-quality electrical circuit schematic diagrams and related figures. Circuit also can be used with Windows or Windows using Cygwin and the Cygwin X-Server, and it produces circuit net lists through schematic capture as well. 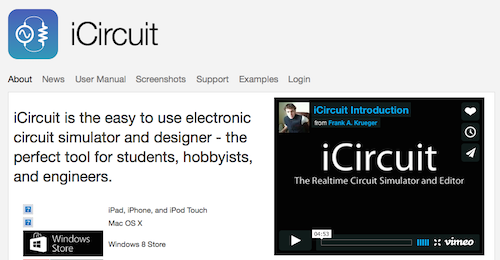 XCircuit is a handy printed electronics design tool for printed circuit board layouts, too. PartSim makes circuit simulation easier for electronics engineers and designers. With simulation features, an integrated Bill of Materials manager, tutorials, and examples, PartSim is a handy tool that you an try online. An in-browser schematic editor and circuit simulator, CircuitLab is a printed electronics design tool that makes electronics engineers and designers’ jobs easier. Work more efficiently and productively when you complete analog and digital circuit simulations with CircuitLab. Upverter seeks to accelerate electronics design by empowering engineers through world-class technology, support, and and knowledge. Easy to use EDA software used by elite hardware engineers, Upverter helps electronics engineers rapidly design next-generation electronics from anywhere and on any operating system. 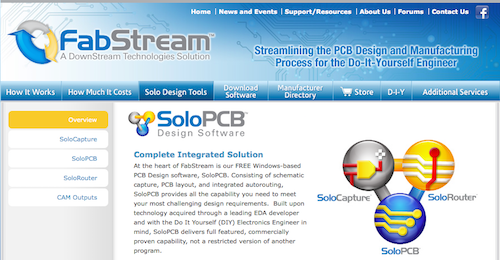 SoloPCB is Windows-based design software that consists of schematic capture, PCB layout, and integrated autorouting. Electronics engineers and designers can tackle even the most challenging design requirements with this printed electronics design tool. PROTEUS Virtual System Modeling (VSM) is a complete electronic design system for electronics designers and engineers. PROTEUS combines advanced schematic capture, mixed mode SPICE simulation, PCB layout, and autorouting so that electronics engineers and designers can use it to simulate micro-controller based design complete with the surrounding electronics. 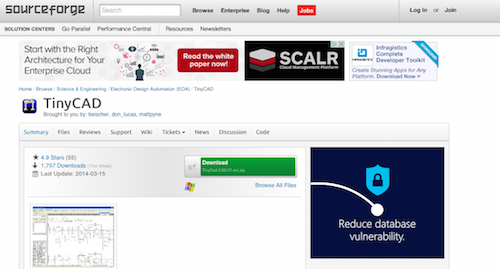 DipTrace is a PCB design software tool with an intuitive interface and wide capabilities. The PCB Layout tool is a high-level engineering solution for board design with smart manual routing, shape-based autoroute, advanced verification, and wide import/export capabilities to assist electronics engineers and designers in their printed electronics designs. ePanorama.net delivers a wealth of information for electronics enthusiasts, hobbyists, professionals, and students. The entire site was born from Tomi Engdahl’s Electronics Info Pages and contains only carefully selected links. The Software and Tools section of the site is a comprehensive list of electronics tools that include calculators, schematic symbol reference, PCB layout tools, and more that are useful for printed electronics design. Created by makers and hackers who were frustrated by the lack of affordable, user-friendly schematic capture, SPICE simulation, and PCB layout software and tools for operating systems other than Windows, EasyEDA gives users exactly what the names says: an easier EDA experience. Open EasyEDA in any browser and access more than 77,400 schematic and 15,000 SPICE libraries to get moving with your own printed electronics design. Fedora Electronic Lab (FEL) delivers “an advanced electronic design and simulation platform for micro-nano electronics engineering.” FEL supports the innovation and development that result from the open source EDA community and provides a complete electronic laboratory setup with reliable open source design tools for electronics designers and engineers. 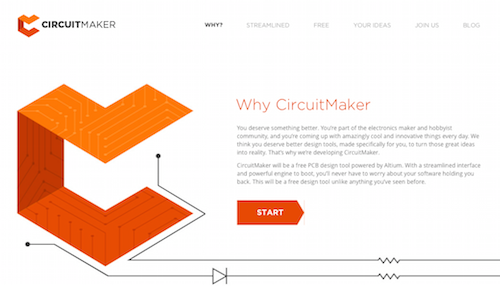 A free PCB design tool powered by Altium, CircuitMaker is especially suited to the electronics hobbyist community as a better tool to help “turn those great ideas into reality.” Don’t let your software limit your innovative designs anymore; switch to CircuitMaker and turn those designs into the greatest electronics devices of tomorrow. GraphiCode provides cost-effective software solutions for electronics manufacturing. GraphiCode’s products and services facilitate the printed circuit boards from design to test with solutions for data preparation, analysis, and translation. As with all of National Instruments’ systems, NI Circuit Design Suite accelerates productivity, innovation, and discovery for electronics engineers and designers. The NI Circuit Design Suite combines NI Multisim and Ultiboard software to provide a complete circuit design, simulation, validation, and layout platform to aid in printed electronics design. Toolkit for Interactive Network Analysis (TINA) Design Suite is a powerful circuit simulation and PCB design software package that is available both off-line and online. With TINA, electronics designers and engineers can analyze, design, and test analog, digital, HDL, MCU, and mixed electronic circuits and their PCB layouts in real time. 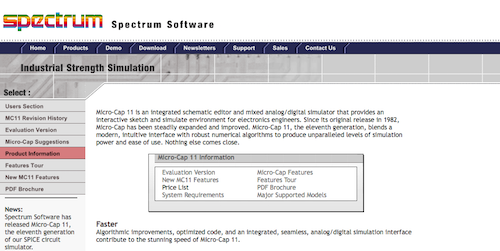 Micro-Cap 11, an integrated schematic editor and mixed analog/digital simulator, provides an interactive sketch and simulate environment for electronics engineers. Micro-Cap 11 combines a modern, intuitive interface with numerical algorithms to produce high levels of simulation power and ease of use for electronics engineers and designers looking for a powerful printed electronics design tool. An easy to use electronic circuit simulator and designer, iCircuit is a great printed electronics design tool for students, hobbyists, and engineers. iCircuit is an appropriate tool for analog and digital circuits and features realtime always-on analysis. Linear Technology offers a range of custom design simulation tools and device models for electronics designers to quickly and easily evaluate circuits. With high-performance switching regulators, amplifiers, data converters, filters, and more, Linear Technology’s design simulation tools are handy for printed electronics design. Arrow Electronics offers six design tools for electronic engineers online. The tools include Arrow enVision, a free online application for early design phase exploration and collaboration, and development kits, as well as other tools that are suited for electronics professionals looking for handy printed electronics design tools. You can follow Pannam on Twitter here.